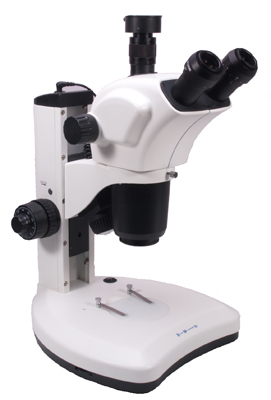 The microscope head itself is trinocular with the binocular eyetubes at an angle of 45°. 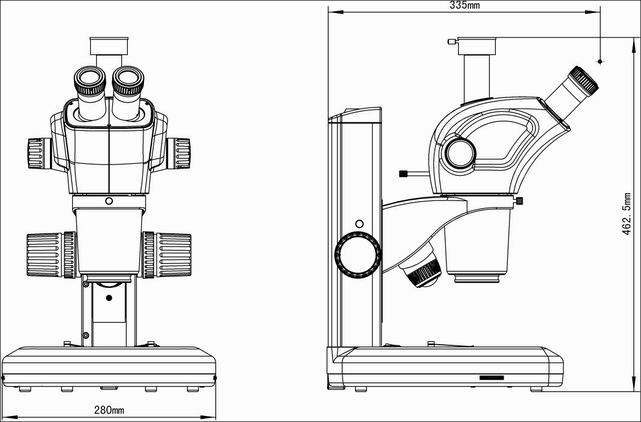 The eyepieces themselves are extremely wide field with an exit diameter of 22mm, with a high eye point making them suitable for spectacle wearers. Each has individual dioptric control. 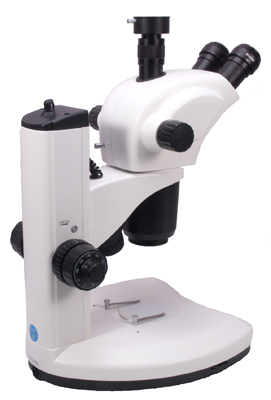 The optical body has a streamlined shape with the zoom magnification controls set towards the back of the unit on either side. 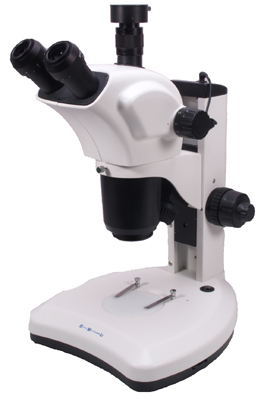 The objectives are planachromats and the zoom ratio of 1:9 gives a magnification range of x7 to x63 with a working distance of 110mm. The field of view range is 3.49 to 33.8mm. The illumination system is LED. The incident lighting is placed behind the stereohead and its angle can be adjusted to suit the specimen type. 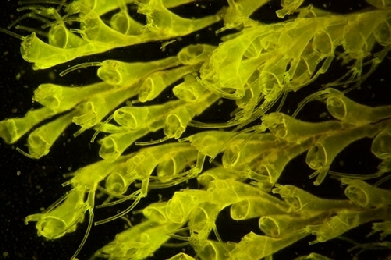 The transmitted system has a translucent white dissection area. Both incident and transmitted lights are brightness controlled and can be used together or independently as required. 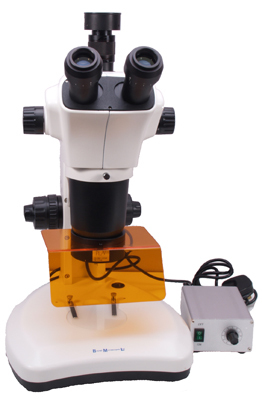 The BSL Zoom Stereomicroscope is a quality brightfield unit but can also be supplied with up to three fluorescence units as accessories. These simply clamp onto the bottom of the stereohead in the same way as a standard ring light. 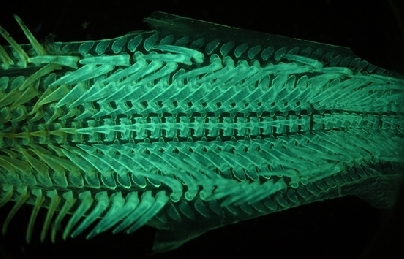 Each unit has a bandpass dichroic filter system which allows LED generated excitation wavelengths to illuminate the specimen and generated visible light to pass to the eyepieces. A UV blocking safety filter is attached to each unit. The BML can be supplied with any combination of these three units and priced accordingly.